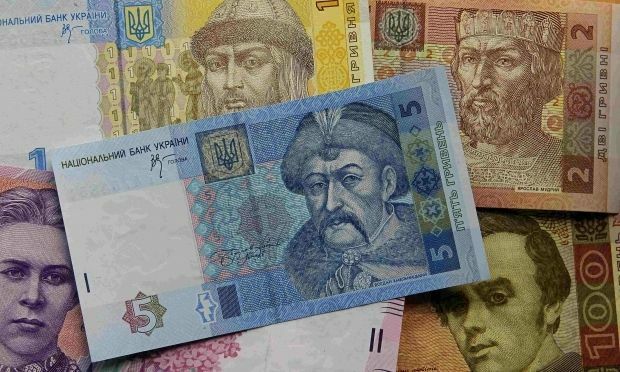 Under the worst case scenario in Ukraine, with a "frozen conflict" solidifying in the Donbas, the hryvnia may drop to UAH 18 to the dollar, but if the situation in the east improves it may consolidate to UAH 13 or even lower, an analyst has told UNIAN. According to Dmytriy Petrov, a London-based analyst of one of the world's largest investment holdings, Nomura, the strengthening of the hryvnia to UAH 12-13 to the dollar is possible, in his opinion, provided Ukraine receives sufficient financial assistance from international financial institutions, particularly, for the restoration of the Donbas. However, he said current developments give little evidence that such scenario is plausible. Petrov said he believes the next tranche from the IMF will start to have a positive impact for Ukraine already this year, which will enable Ukraine’s central bank to keep the exchange rate at its benchmark rate of UAH 13 to the dollar. "Now we are witnessing the worst case scenario folding out (anticipation of a new military offensive from Russia), with IMF loans likely to be provided only in Q1, 2015. There is a great risk that the exchange rate may reach UAH 14-14.50 to the dollar prior to its stabilization," Petrov said. Among other factors singled out by the experts that may contribute to the further weakening of the Ukrainian currency is the completion of the parliamentary elections in Ukraine, which eliminates political pressure to keep the exchange rate down, as well as the necessity to service external debts and pay for gas supplies. He also added that the first results of changes introduced by the National Bank of Ukraine on the foreign exchange market will be visible only at the beginning of next week. "The currency market is subject to strong regulation. The elimination of some restrictions since Monday has driven up the demand for foreign currency. while the supply has remained at more or less on the same level," Petrov said. As UNIAN reported earlier, today the interbank market opened with hryvnia quotations at UAH 13.60/13.99 to the dollar, compared to yesterday's closing price of UAH 13.60/14.01 to the dollar. The exchange rate, which was UAH 8.50 on the interbank market in early 2014, reached this year’s maximum so far at the end of September, when it was almost UAH 15 to the dollar. Since the introduction of the hryvnia in 1996, it has suffered three sharp devaluations: in 1998 it plunged by three times from the level of UAH 1.80 to the dollar to about UAH 5 to the dollar; while at the end of 2008 it sank to UAH 8 to the dollar. Over the last year of civil unrest and conflict in eastern Ukraine the hryvnia has steadily shed value to its present level of UAH 13-14 to the dollar.